Everyone talks about discovering Iggy with the Stooges. Everyone lies. This solo platter is really the first time most people heard Iggy Pop. 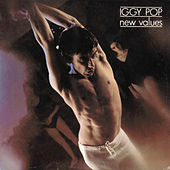 As streamlined and clean as Raw Power is filthy and primal, New Values was embraced by the punk/New Wave movement, while "I'm Bored" and "Five Foot One" were played on FM classic rock radio.